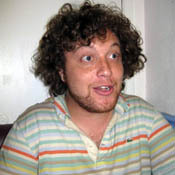 Penn alum Dave Cowen (C'06, TEP, 34th Street, Write On!) is certainly carving a niche out for himself in Hollywood. While Dave has been finishing his MFA degree in Screenwriting at USC, he's been busy with two very entertaining projects you'll want to check out (one with another fellow Penn alum). Last Day of Our DT Earth Day Contest: Comment and Win! Today is the last day of our DT contest where you can win a Hydros bottle. 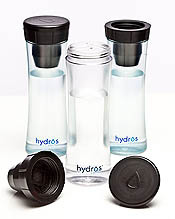 Hydros Bottle provides American consumers with access to great tasting, refreshing water on the go through a novel, fast flow filter built into reusable filtered water bottles. Their bottles are made from Tritan™, the same material used in Nalgene bottles, and a sophisticated filter that quickly removes chlorine, chloramines, and particulates. what else are you doing to help others go green? In the post, please be sure to leave your first name, last name, class year. I will contact winners via facebook. To decide the winners of this competition, Aakash Mathur and Jay Parekh, will determine the winner based on creativity and impact. I will then contact the winner about his/her prize via facebook by Monday, April 26. I will announce the winner on this blog soon after. While this Penn alum was named a Presidental Scholar in the arts, come June 9, we're going to see (said in reality TV show promo voice) "whether he has what it takes to become the next great artist". 2 More Days to Enter our DT Contest! 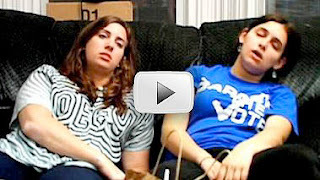 In honor of 4/20, click HERE to watch an entertaining film from a now young Penn alum I posted a while back. Did you see Dr. Zach Lutsky appear on the "Dr. Oz" show last week? On the show, Zach talked about the "golden hour" of medicine which refers to the time period lasting from a few minutes to several hours following a traumatic injury where immediate medical treatment most likely will prevent death. 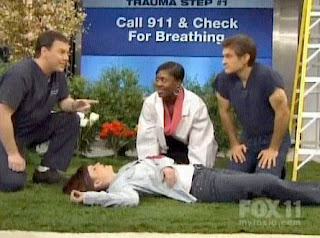 Zach then shows us how to save a life after a trauma (plus there was a nice promotion for "Miami Medical", the CBS show for which he is a medical consultant).